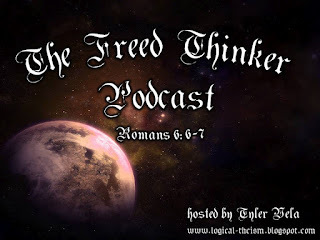 In this episode of The Freed Thinker Podcast, we take a break from our examination of the Kalam Cosmological Argument to spend some time talking to one of my all time favorite skeptics, Nicholas Bruzzese, host of The Skeptics Testament Podcast. The discussion ranges from Biblical illiteracy, the historical critical method, scientism, and a whole host of other interesting topics. Click it! Subscribe to it! Listen to it! LOVE it!